This month began with a blog by Dr Kim Nguyen on the very important preventive procedure of Fissure Sealants and she took us on her adventures of the world in Kim – Dentist at Large. Then she joined the Team Miroma in training with Roni, Joy and yours truly. 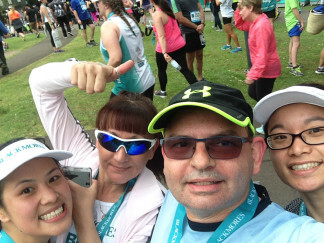 This culminated in completing the 9km Harbour Bridge in Team Miroma – We Did it!. Thank you to all the donors and the team for making this year a great success and raising the awareness of young adults with special needs. Finally, for September, an important article on Dry Mouth. This condition is quite common and does affect more of us as we age. We began the month with a thank you for all the efforts of Team Miroma and to all the donors. Kim continued with the treatment of dry mouth. Two more blog series articles on The Child Dental Scheme and Anzac Day and Trench Mouth were posted. 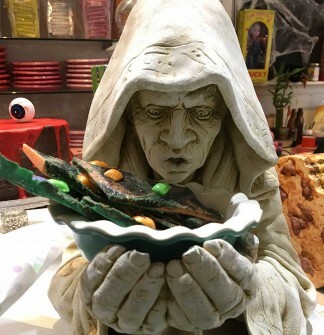 To mark Halloween, a look back in history to the start of the sweet tooth epidemic we have today, with Queen Elizabeth I. There is more to life than dentistry, but there is much we can learn from history. There is the saying “history repeats itself”. This is true of how people can let their mouths go. We want to prevent suffering!